We live in a world with one click access. 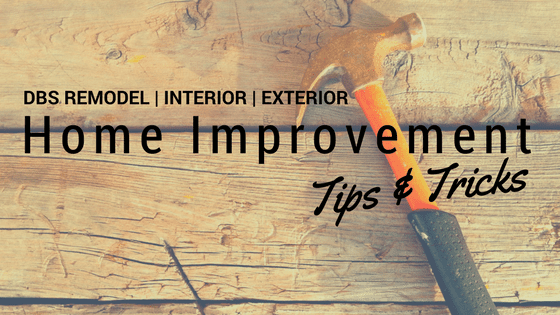 Your remodel should be no different. DBS Remodel has the answer for you. Builder Trend is a cloud-based client / remodeler communication portal. The management software provides real-time 24/7 access to construction scheduling, change orders, documents, photos, warranty management, homebuyer selections, and much more. Let’s state the obvious: Not everyone has the budget to do a home remodel. However, there are plenty of Home Improvement ideas that are easy and affordable to do. One of the easiest, and most affordable, ways to refresh the look of your home is to simply add a bit of curb appeal! 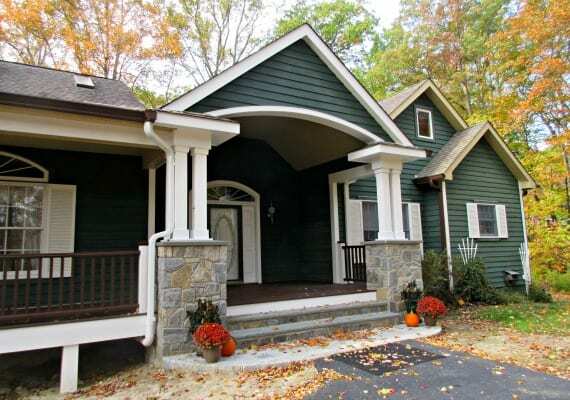 Curb appeal refers to the overall aesthetic appeal of your home’s exterior. Here’s a compiled list of some fast and affordable home improvement ideas to help improve your home’s curb appeal. A Flag & Seating: Hanging up Old Glory and adding some seating goes a long way. 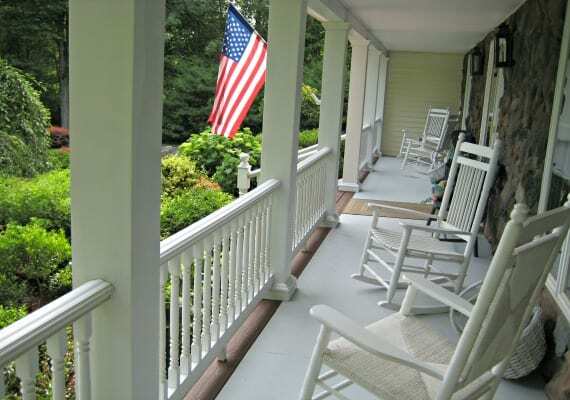 An American flag adds a splash of color to the front of your home, while seating provides a warm, inviting welcome. Another suggestion is either incorporating a Rocking Chair or Adirondack chair for optimum relaxation on a warm Summer night. Entryway: A fresh coat of paint goes a long way! Freshen-up your front door with a new (possibly bold) color! Add either a decorative door knocker or house numbers to further dress it up! Or if you prefer, add a decorative wreath that accents your front door’s new color! Then, tie it all together with a new light fixture and matching hardware. BONUS: Adding symmetry to your entry way is visually more appealing! Frame the door with matching light fixtures and plants on either side to give your entrance maximum appeal. Outdoor Illumination: Not only does adding a bit of light help to guide you and your guests safely inside your home, but it also can be the perfect accent to your home, pathway, and/or landscaping! You can also opt to do without the wiring by investing in solar fixtures. Landscaping: Now you don’t have to have a green thumb in order to tackle this home improvement project. You can simply add plants and shrubbery that best fit your lifestyle. If your front yard is small, opt to simply frame your doorway in flowers (or depending upon the season, pumpkins!) You can create a unique look with different pots of different elevations. If your yard is a bit bigger, combine flowers with trees/shrubs and fresh mulch. Landscaping adds some color to your home’s exterior, and therefore, more curb appeal and warmth. Remember, read plant tags to know if your landscaping will require a lot or little maintenance. Window Boxes & Shutters: Similar to landscaping, plants make for a more welcoming home exterior. Add window boxes with colorful flowers that accent your home’s siding. You can also add new shutters that complement your front door, porch, and/or deck. If your home already has shutters, freshen them up a bit with a new coat of paint–like we said, a fresh coat of paint goes a long way! 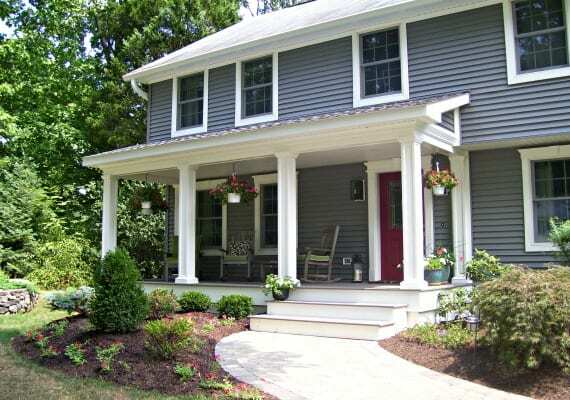 So there you have it–quick, easy, & affordable home improvement ideas to add some curb appeal. Remember, if you are looking to do a home remodel or renovation, contact your friends at DBS Remodel—When Cleanliness, Politeness, and Trust Matter! 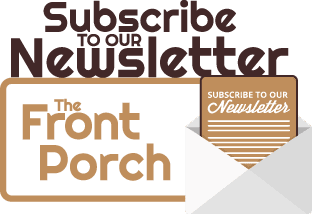 Home Improvement Tips & Tricks: No More Door Bore →← Basement Remodeling – The Ultimate Man Cave! Website Development by IT Visions, Inc.
Would you like to be added to our newsletter list? Yes, please add me to your newsletter list.